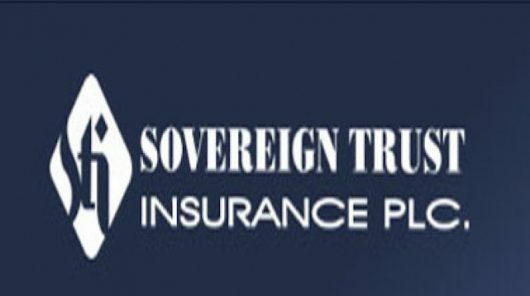 Sovereign Trust Insurance Plc has settled a total claim worth N4.2 billion to various insured spread across the country in the last financial year. According the company’s spokesperson and Head of Corporate Communications & Brand Management, Mr. Segun Bankole, the underwriting firm was not about paying lips service to settlement of genuine claims when they occur. He however, stated that the claims experience in 2018 was quite huge which he attributed to the downturn in the economy. According to him, “every insured wants to claim at every given opportunity which really escalated the claims figure for the year. The summary of the claims paid in 2018 shows that Energy had the highest figure of N2.1b with Fire Insurance ranking second with total claims settled to the tune of N664m. Motor Insurance claims amounted to N567m while Marine & Aviation claims stood at N447m. The total sum of N333m was paid as claims on General Accident Policy with Engineering closing the figures with N41m bringing the total claims paid to N4.2b. While commenting on the intent of the organization as regards claims settlement, the Executive Director, Technical Operations, Mr. Jude Modilim said, “there is no compromise to genuine claims settlement in Sovereign Trust Insurance Plc because the major focus of the company is to ensure that our teeming customers get to enjoy the benefits of taking out any form of insurance policy with us through prompt settlement of their claims when the need arises. That to us, is the only way to prove that we are well and alive to our responsibilities as an underwriting firm in the country. In the same vein, the Managing Director/CEO, STI, Olaotan Soyinka stated that the company has put in place a friendly-claim-process with the major aim of putting smiles on the faces of its various customers across the country by ensuring that claims are settled within the shortest period possible on completion of all necessary documentation.